As with all horse properties, water is paramount for a successful operation. This property has an abundance of water with 3 water holes, 2 being spring feed plus 60,000 gallons of water storage. All power and water pipes throughout the property have been placed under ground. Dulong Park is a beautiful 30 acre spelling and agistment property that has been built to the highest standards. The land is level to undulating and flood free with improved pastures. All the hard work in establishing the horse facilitates has been done. The front gate is most welcoming with a large powder coated automatic gate and attractive landscape gardens. The drive from the gate to the main facilities is simply stunning as you drive past post and rail fencing and lush open pastures. This is what the Sunshine Coast Equine lifestyle is really about. 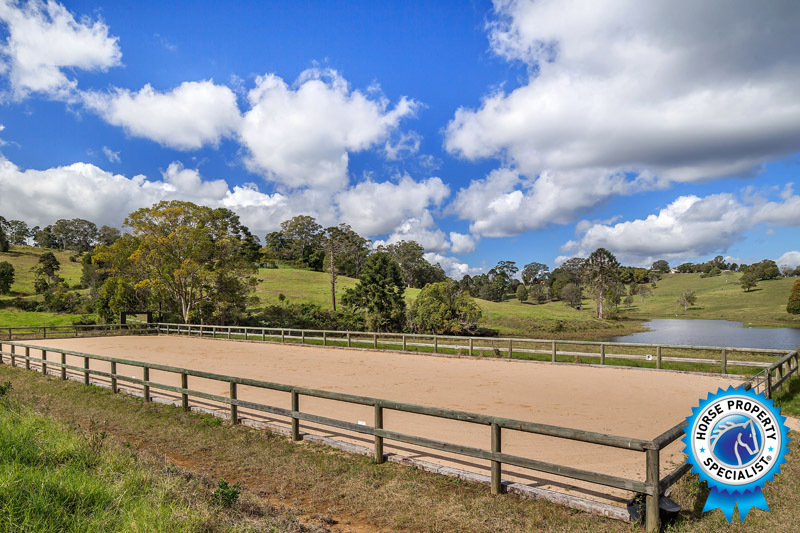 The property boasts 14 post and rail paddocks which are only 5 years old and have been built to 1.3 metre high so as to accommodate both thoroughbred and warmblood horses. There are also a further 3 general use paddocks – 17 paddocks in total. In addition to the timber fencing there is also electric stay-off Equi-fence by Gallagher. Located throughout the property are 15 all-weather stables which include 3 foal down stables and 8 stables fitted with Stable Comfort flooring. Each stable has automatic drinkers. The location of the paddocks is ideal for those looking to generate income from agistment services as they offer easy convenient access to the horses and facilities. For those looking to train or carry out lessons then this property is fully equipped. There is a fabulous multi use, double-mirrored 60 x 20 Olympic sized dressage arena with its own covered viewing deck. Also there is a safe and workable 18.5 metre round yard. Both the arena and round yard have the Todd Cunningham’s Eld Gold surface finish. The best in the market. Adjacent to these facilities is a wash bay and a tack up area. The large farm shed (approx. 20m x 11.8m) is lined with a rubber floor and incorporates 2 boxes, tack and feed room plus a wash down bay with hot and cold water. 3 phase power is connected. The light and airy manager’s residence is five star accommodation. 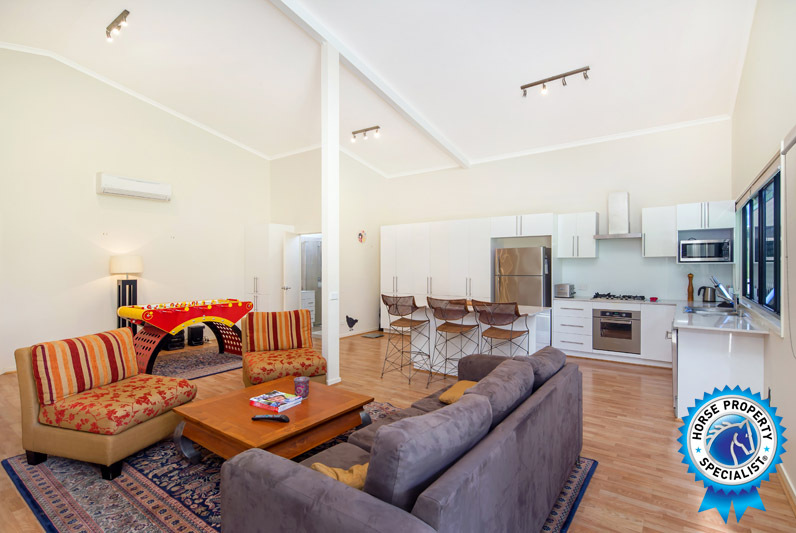 Two large bedrooms, built in robes, storage cupboards, attractive timber laminate floor, a 2 pac kitchen with stone bench tops and quality appliances throughout. The open plan living opens out onto a covered patio which looks out over the property. Great for barbeques or a quite drink after work. The house site is ideally located so as to give excellent views to all paddocks and to the Blackall Ranges. The owner has plans available for the construction of a homestead and guest house. There are soil tests, and engineering reports completed plus in ground water tanks have been constructed. Everything is ready for your own dream home in a dream rural location. Dulong Park is only a few minutes drive to the heart of Montville and 10 minutes to the Nambour CBD. Beaches of Noosa and Mooloolaba are also an easy drive away. Change in the owner’s plans have dictated that an immediate sale is required. This sale represents an excellent opportunity to take over the current operational and profitable agistment business on Queensland’s Sunshine Coast. To be sold by Expressions of Interest. To appreciate the quality of this property, contact the marketing agents for a private inspection. 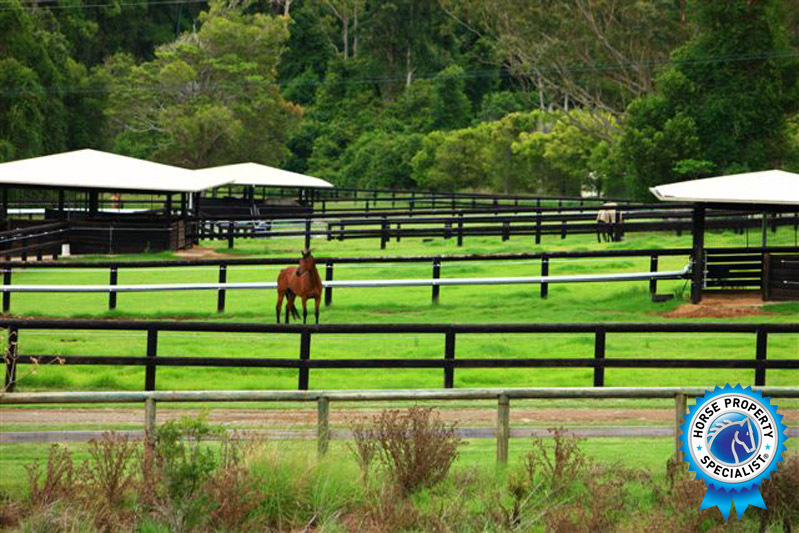 Greg Young 0488 238 988 The Sunshine Coasts Horse Property Specialist.